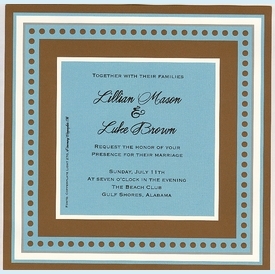 This chocolate brown and aqua invitation is square in shape. 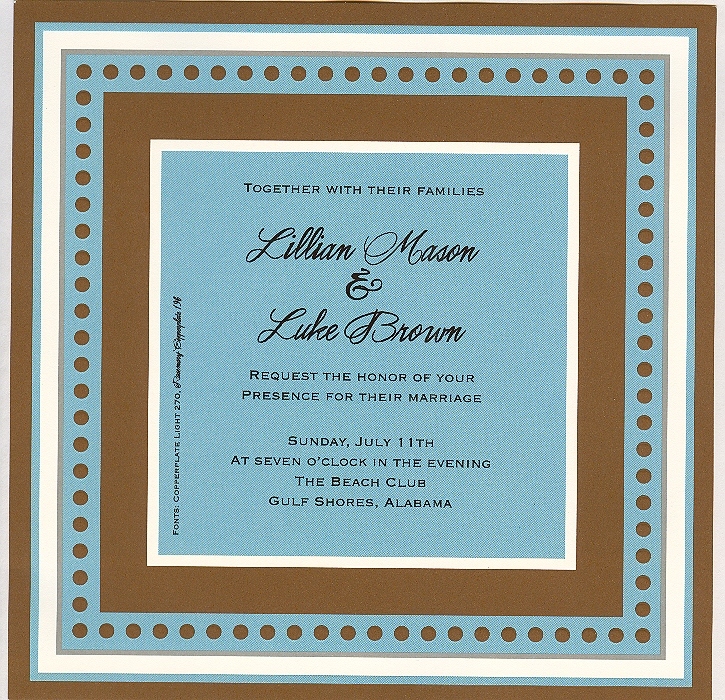 The slick pattern of lines draws your attention to the printable aqua area in the middle. Includes upgraded brown square envelopes (extra postage required). Perfect for any occasion. NOTE: One pack of 50 invitations left! SIZE DIMENSIONS: 7" x 7"